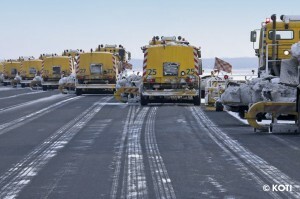 KOTI manufactures runway sweeper brush cassette systems for snow removal. 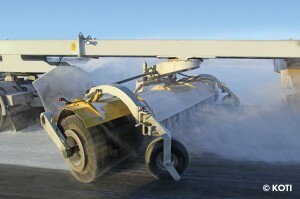 The airport brush system is supplied directly to airports and machine manufacturers. 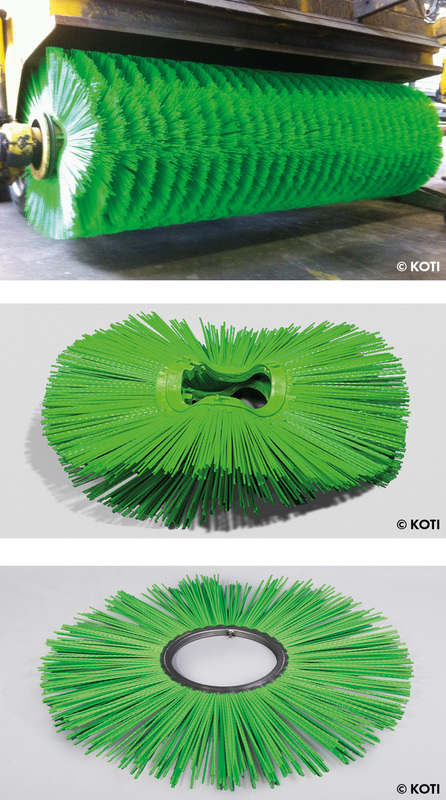 The KOTI runway brushes remove snow, sand/dust, grit and F.O.D. 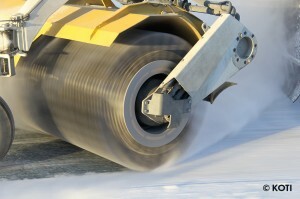 from runways, platforms, in and around hangars and other paved surfaces. 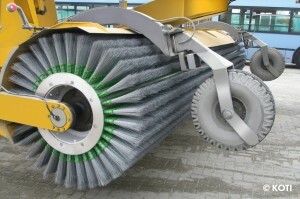 Brush cassettes with steel wires: Suitable for heavy cleaning duties, such as snow removal, due to the heavy brush filling. 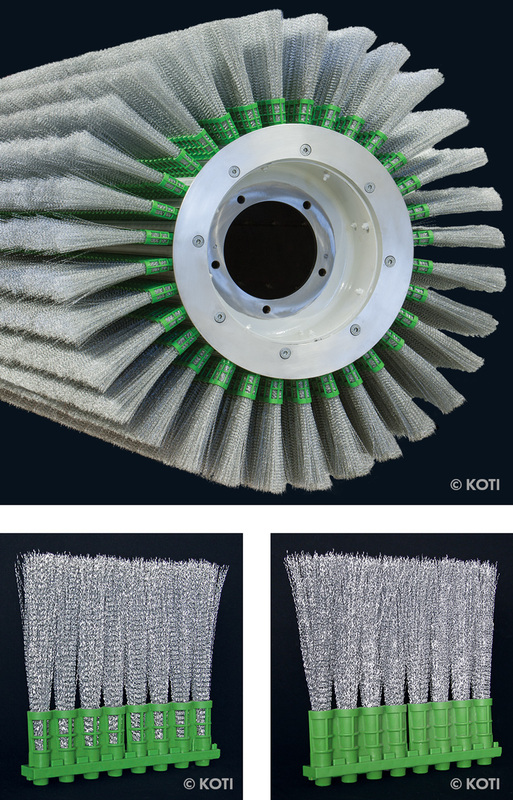 Brush cassettes with synthetic fibres: Suitable for light and normal cleaning duties. 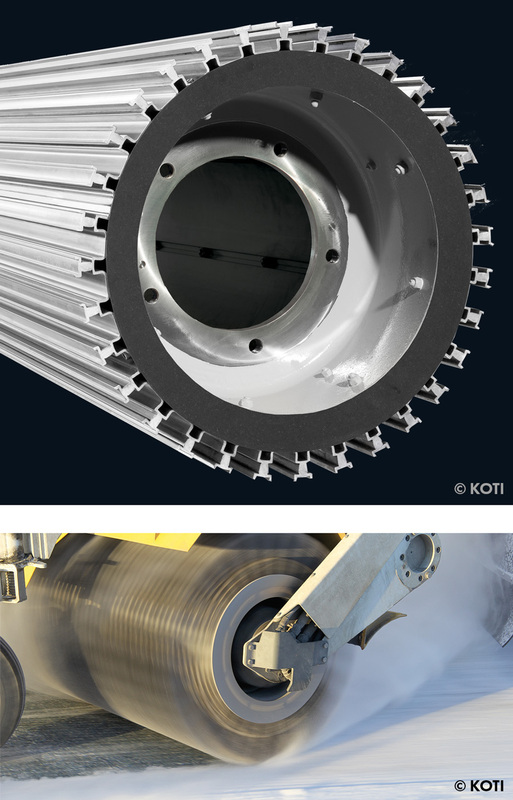 KOTI’s unique brush core of aluminium: Specially designed for you to create a high-quality brush system in combination with our brush cassettes. Brush rings: A range of different brush types in various executions, for example the brush ring Wave Ring. Suitable for various cleaning duties. 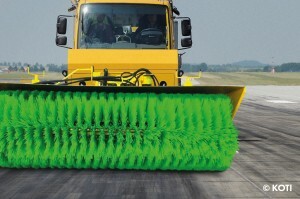 KOTI is one of the main airport suppliers worldwide for runway sweeping and cleaning brushes. No matter where our customers are located we deliver our products all over the world. If you wish to make an appointment with one of our sales representatives or are looking for a sales office in your country? Please do not hesitate to contact us. High-quality brush cassettes using high quality material. Extra securing wires ensure these brush cassettes meet the standards of the safety regulations; almost no wire loss and therefore minimal F.O.D. hazard. Withstands temperatures down to -40 °C. Proven longer lifespan than competitive brushes. Environmentally friendly: materials are recyclable after use. The most common sizes available from stock. A complete set of brush cassettes for one brush core, regardless of the length, supplied in one box to save space. Cup holders: Open option for extra flexibility and closed option for extra rigidness. Through the special melting technique substantially no breakage or loss of fibre, and therefore less F.O.D. danger. 20 to 40% more fill compared to the traditional synthetic cassettes. Longer life span compared to the traditional synthetic cassettes. Better sweeping effect compared to traditional synthetic cassettes. Environmentally friendly: after usage fully recyclable. Various sizes for all types of machines: the standard length can be cut to your exact specification. Available in various fibre diameters. 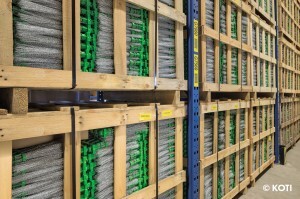 Each delivered crate contains a complete set of cassettes for one roller brush, regardless of brush length or number of tracks needed. Combination option: creates a light brush but with a firm brush density. 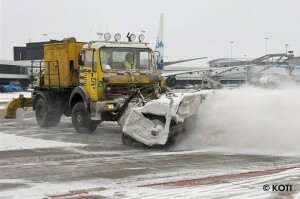 Suitable for airports with little snow fall, but where they need to remove snow when necessary. Suitable for all types of machinery. The brush core can stay on the machine during replacement of the brush cassettes, which saves time and money. Very simple assembly and disassembly thanks to the sliding system. One person can individually replace the brush cassettes, again saving time and money. 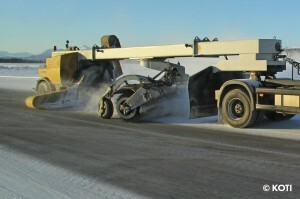 Do you have other applications besides snow clearing machines, also sweeper trucks? 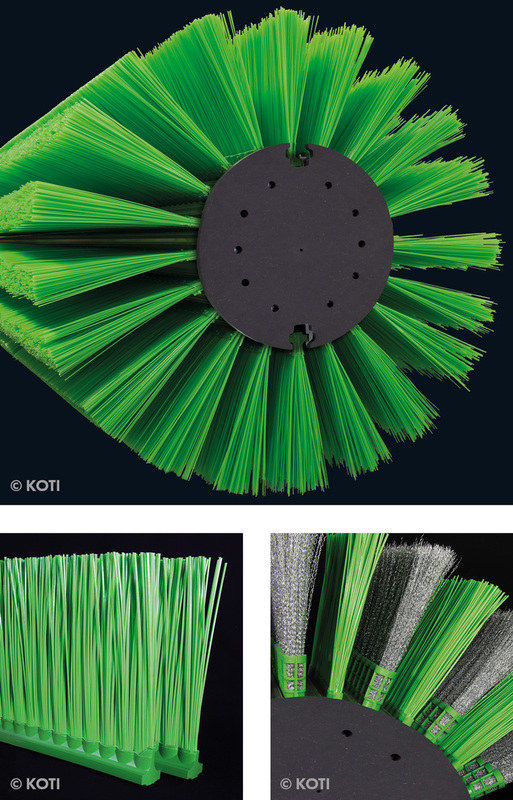 Then you can also order the brush rings for these machines at KOTI. We are one of the few brush manufacturers that can offer you the whole range.